off the clock. Life is a constant race from one urgent task to the next. Don’t settle for this stressful and demanding daily grind. 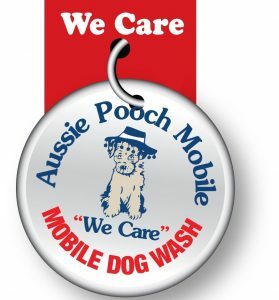 Consider getting into the dog grooming business and taking back your career independence with Aussie Pooch Mobile. We’ve been giving dog lovers careers of a lifetime for more than 27 years. With more than 200 operators worldwide, our dog grooming franchises for sale allow you to run your own business on your time.. You don’t have to have previous experience or knowledge in dog grooming: the only thing that’s required is you love dogs and care about delivering the finest in care to their owners. At the heart of what our franchise operators do is caring for dogs by ensuring they’re clean and smelling great. This result is backed by a service that’s enjoyable and welcoming. Our service starts with a trip to a pet owner’s home. We initially brush the tangles and loose hair from the dog and cut their nails. We give them a comforting, massaging hydrobath with eco-friendly, Australian made solutions in warm, fresh water. We clean them from head to toe, including ears and eyes and provide a flea treatment if necessary. We end the service by blow drying any excess water from the dog, provide a second brushing then deodorise so the dog smells great. Finally, we reward the good boy or girl with a yummy dog treat returning their clean, 4 legged family member to the owner with a smile. products and dog toys & treats. We’re practically a salon-to-go service for pets with all the bells and whistles that your dog will love. If you’re excited about running a dog grooming business but have never run a business before, don’t worry. We fully support new franchisees and provide them with the skills, experience, and education they need to deliver on our WE CARE promise: service that’s welcoming, enjoyable, convenient, affordable, reliable, and efficient. We won’t throw you into your new career to fend for yourself. Before you take the reins, you’ll have the opportunity to try before you buy. You’ll take your career on the road for one day with one of our operators. This is a tremendous benefit: through this experience, you’ll be able to determine if being a proud franchisee is the right fit for you. Contact us today to learn about our dog grooming for sale and special packages available. Why wait to bring your passion for dogs and a new career together?